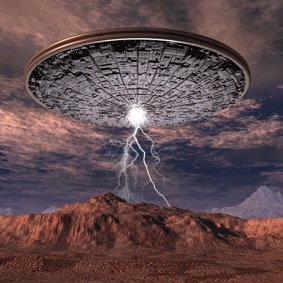 What do UFOs, cow eyeballs, & fuel tanks have in common? Fleet policy. UFOs. A state fleet manager once shared with us a story about a driver that had car accidents on two separate occasions in a state-owned vehicle. In the second accident, there were injuries of fellow employees. What’s odd about these incidents? In this particular case, the driver cited interference from UFOs as the cause of the accidents! After a second accident review board, this driver was still driving state vehicles. Why? There was no policy with regarding at-fault accidents (by unidentified flying objects or otherwise!). Cow eyeballs. One well-known Northeast university had to slap one of their departments with a huge cleanup bill when a five-gallon bucket of cow eyeballs -- courtesy of their friends in the university department of Agriculture -- spilled throughout one of their vans. With no policy regarding the transport of biohazardous materials, the driver chose the wrong type of vehicle to transport the bovine peepers. The fleet had to rip out all carpet and ultimately billed the driver’s department thousands of dollars for the clean-up. There was a more appropriate vehicle for this driver to use, but they were able to ignore fleet policy and use a standard mini-van. Empty Fuel Tanks. What’s more frustrating than getting into a motor pool vehicle only to find the gas tank on empty? One driver of a FleetCommander motor pool recently picked up keys for a pool vehicle. With the turn of the key, she was annoyed to see that there was almost no gas in the tank. She quickly returned to the motor pool to share her frustration. Together, she and the fleet staff checked the online record to see who used the vehicle last. It turns out, the complaining driver herself was the last one to use the vehicle and had returned it on empty! Not only had she violated fleet policy, she inconvenienced – and embarrassed -- herself. Her excuse was that she was in a hurry at the end of her last trip. Without a policy or a method of checking for violators, no one would have known! Have your own interesting or humorous fleet story to share? Share it with us in the comments below. If you are interested in drafting, communicating and enforcing your fleet policy and are wondering where to start, check out our new guide: Developing & Enforcing Fleet Policy. For examples of FleetCommander customers who have used policies to achieve significant savings, check out our State of Michigan Case Study and Forsyth County, NC Success Story now.